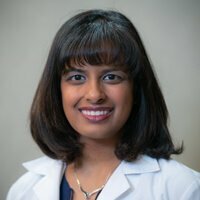 Dr. Manisha Sahay joins Northwest Neurology after finishing her fellowship in Women’s Neurology at Northwestern University. She received her medical degree from Medical College of Wisconsin in Milwaukee and completed her medical internship and neurology residency at Northwestern University. Dr. Sahay is Board Certified in Neurology. She practices general neurology and her sub-specialty interests include all areas of women’s Neurology such as management of neurological disorders throughout the various hormonal and reproductive changes in a woman’s lifespan, including pregnancy, menstruation, and menopause, as well as medication considerations unique to women with neurologic conditions. Dr. Sahay is also trained in clinical neurophysiology, including EMG and EEG.She is also fluent in Hindi.